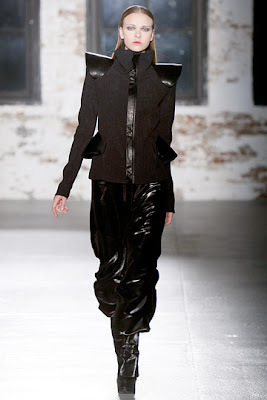 I want designer Sally Lapointe to dress me everyday in her entire fall collection. My inner diva squeals with excitement at every look. Lapointe demonstrates a more wearable collection than previous seasons while still retaining the edge that makes her unique. 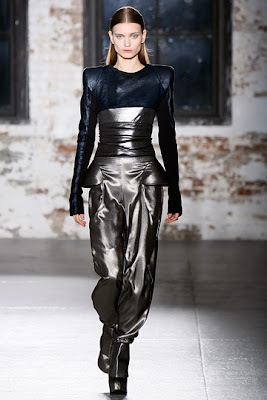 I loved the mix of metallics and the high waisted harems. 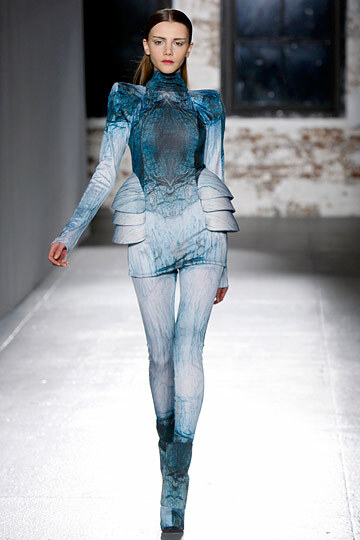 The shaping is strong this season with my friend the bold shoulder going even bolder with points. The bold shoulder to me is like the fashion mafia, once I think I'm done with it it pulls me back in! 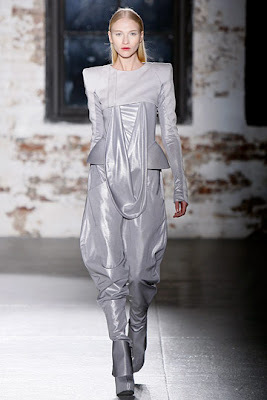 This was my favorite Sally Lapointe collection to date, you can really see the growth as a designer. No sidebraid salute here, this gets five out of five fierce fauxhawks!